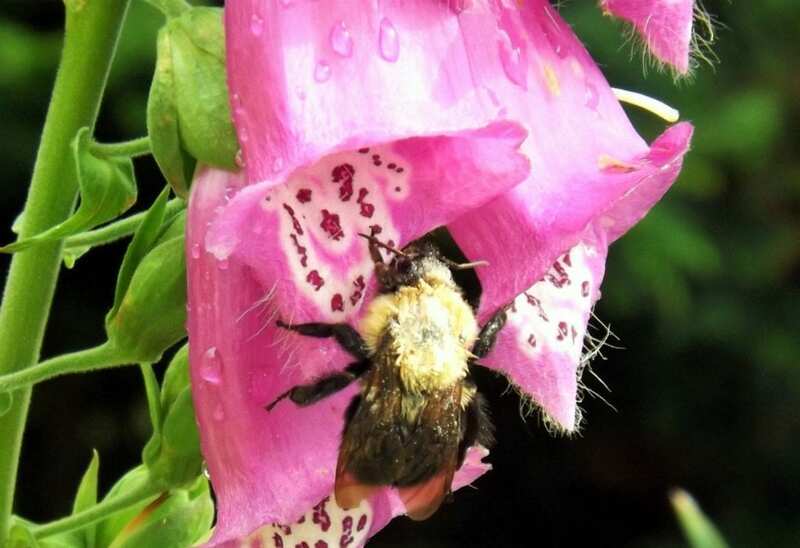 A bee gathers nectar from a foxglove flower in southern West Virginia. Photo courtesy Garvey House. Eight West Virginia projects will share in $271,980 in federal funding to enhance the production, processing, and consumption of specialty crops, according to the W.Va. Department of Agriculture. Specialty crops are defined as fruits, vegetables, tree-nuts, dried fruits, horticulture, and nursery crops, including floriculture, according to state Commissioner of Agriculture Kent Leonhardt. Leonhardt called the block grants that funded the programs vital. Grant recipients have three years to plan, implement and gather data on their respective projects. The USDA handed out more than $72.1 million to 788 block-grant projects across the U.S. and its territories for 2018. For complete project descriptions, click here.